God is a speaking God. He loves us and has chosen to get his message to us in words. 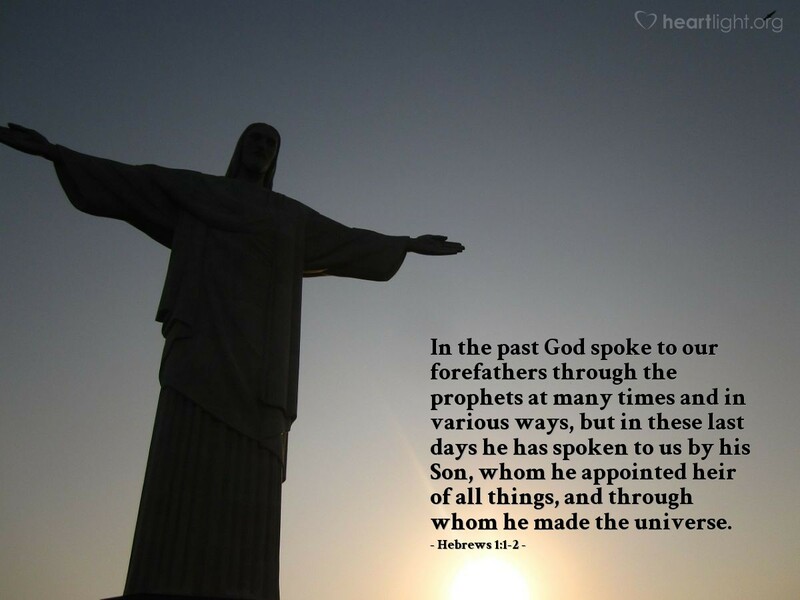 First there were the patriarchs and great prophets. Then there was the written record in the Scriptures. But God's greatest message, his most powerful words, were not really words at all, but a person named Jesus of Nazareth, who is Christ and Lord of all. For us, his Church, to be what he wants us to be, we must not just look at Scripture, we must also look at him. He is the key to understanding what Scripture means and how it is to be lived. Holy Father, help me to see Jesus and his work and purpose more clearly as I open your Book and seek to understand your will. Fill me with your Spirit, so that I may greet each decision awakened to the answer to "What would Jesus do?" In the name of Jesus, my Lord and Savior I pray. Amen.